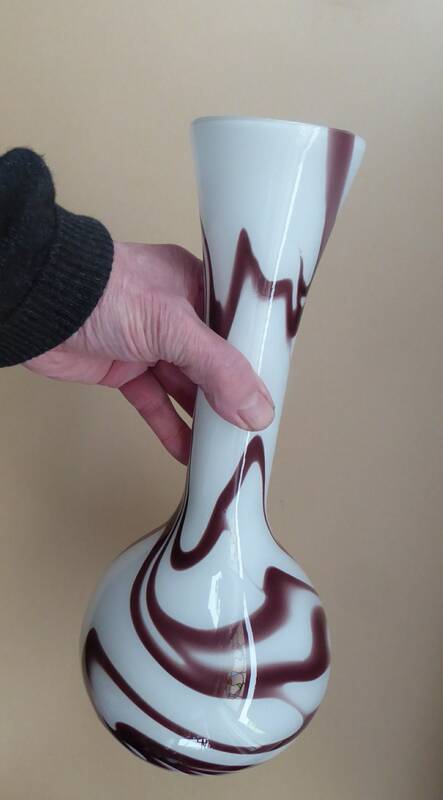 This is a lovely vintage hand blown tall glass vase. 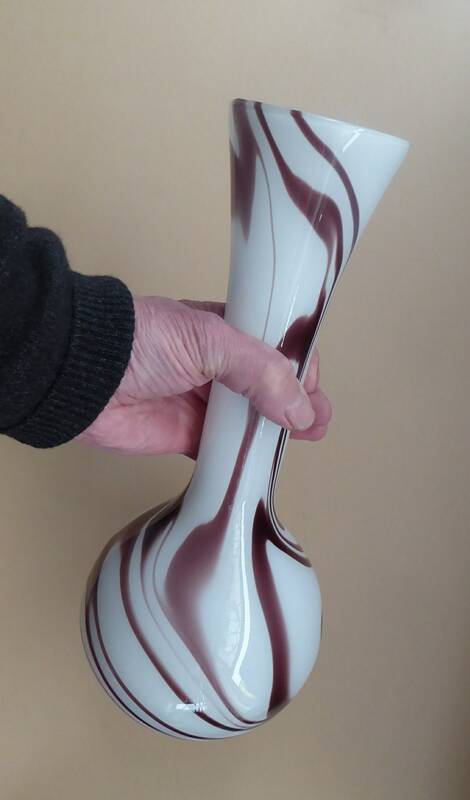 It is a nice heavy piece and measures some 13 1/4 inches in height. 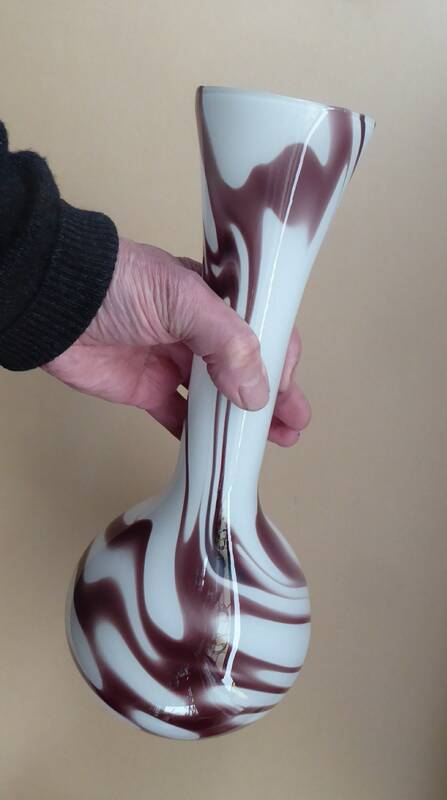 The base is roughly 6 inches in diameter. 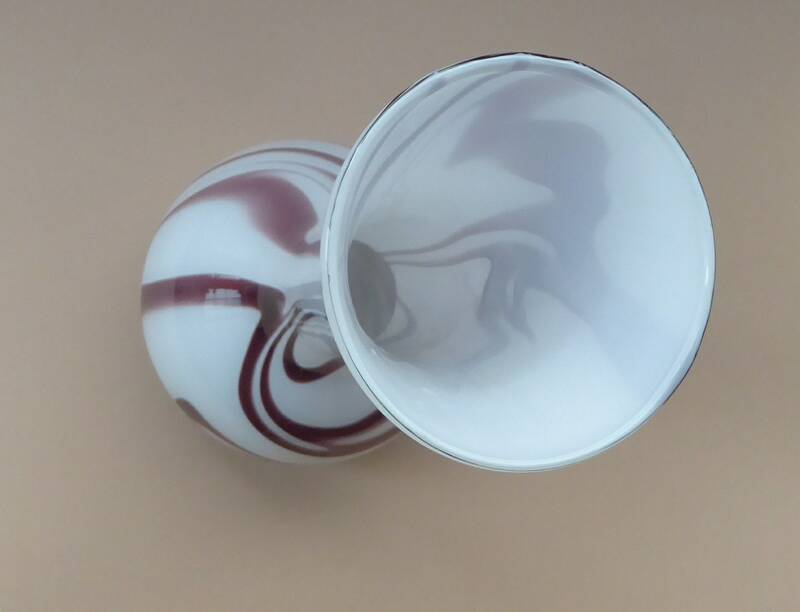 It is 900 grams in weight unpacked. 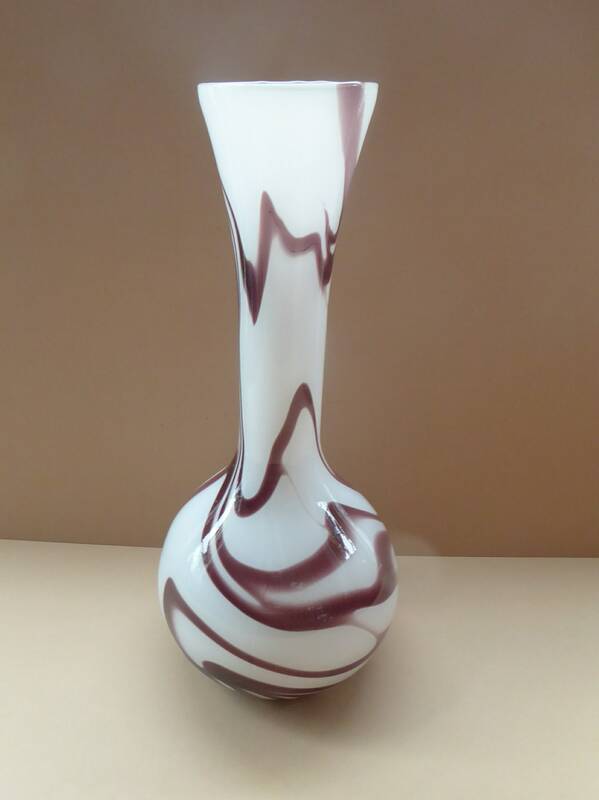 The vase is made of an opaque white glass with feathered zebra stripes as decoration. Cased in a layer of clear glass. 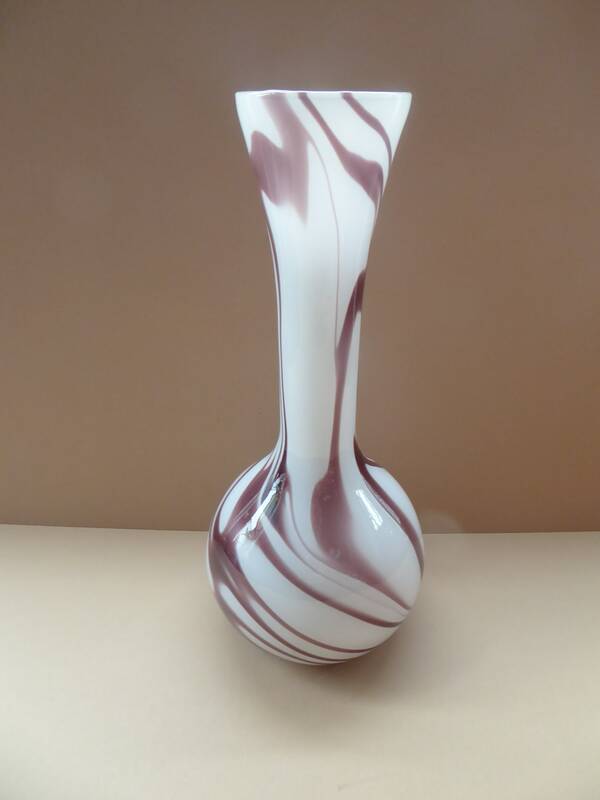 The stripes around the vase are a brown-purple colour. 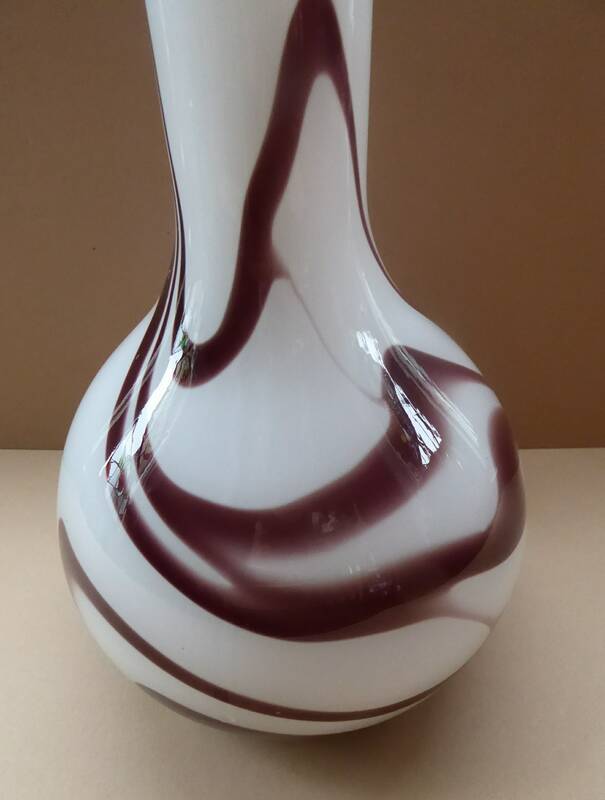 It has been made by the Italian V.B Opaline - they seemed to specialise in using swirls of colour in opaque white glass. 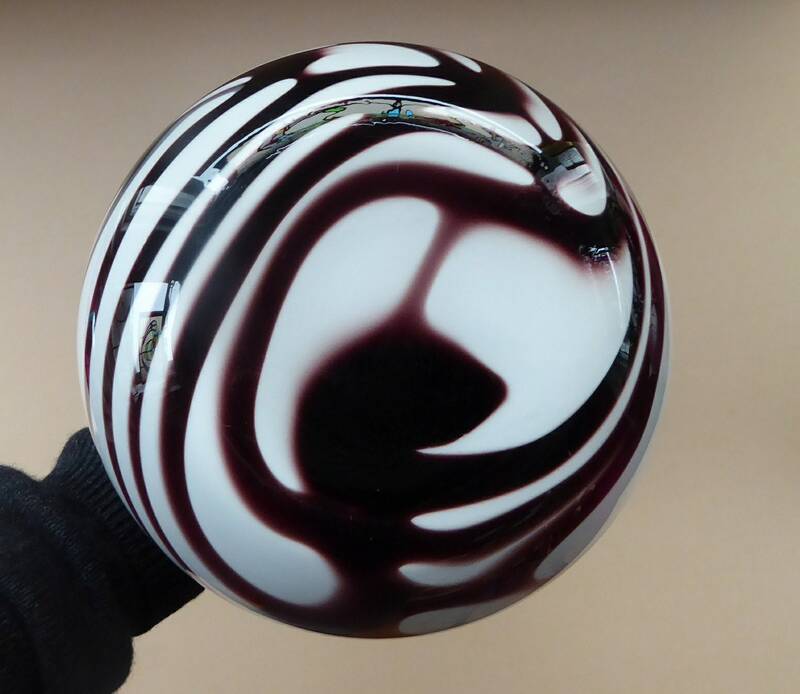 It is in perfect condition with no damages. 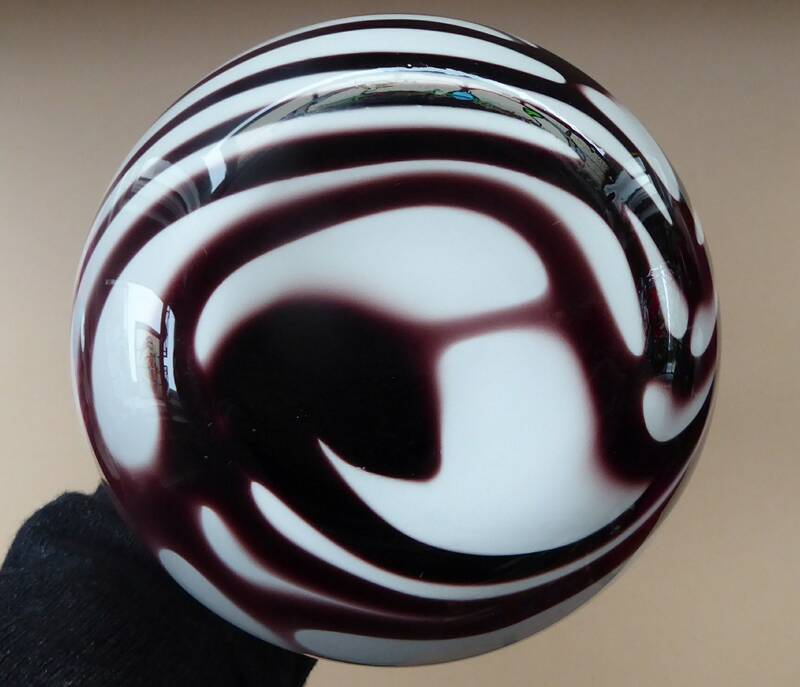 A lovely display piece for a space age or futuristic mid century interior.